It does not appear as though Kat Graham is looking to reprise her Vampire Diaries character of Bonnie Bennett on The Originals moving forward. Just in case you want The Originals spin-off Legacies to have more connective tissue to The Vampire Diaries, this should make you happy. Legacies trailer: First look at The Originals spin-off, featuring Hope! Today, The CW officially unveiled the first Legacies trailer, and after watching it we have an indication as to why it was picked up. Will The Originals season 5 episode 12 be a precursor to Legacies in some sense? While The Originals season 5 episode 12 isn’t a backdoor pilot for Legacies, could it still be a precursor in some form? Legacies: Can The Originals spin-off deliver on the fall schedule? 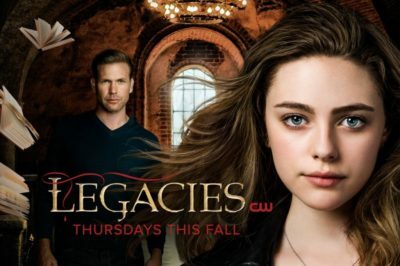 While we’re going to have a little more of an in-depth look at The Originals spin-off Legacies next month as we really get our Fall TV Preview series going, we did want to spend a moment today speculating over the show’s potential. The Vampire Diaries and The Originals have officially given birth to a new CW show — today, the network confirmed that they are picking up the Hope-centric spin-off Legacies.